are you going to right the nexts book for the cryptid hunters sereies cause i really want to know what happened to grace so write it pleeeeeeeeeeeeeeeeeeeease !!!!!!!!!!!!!!!!!!!!!!!!!!!!!!!!!!!!!!!!!!!!!!!!!!!!!!!!!!!!!!!!!!!!!!!!!!!!!!!!!!!!!!!!!!!!!!!!!!!!!!!!!!!!!!!!!!!!!!!!!!!!!!!!!!!!!!!!!!!!!!!!!!!!!!!!!!!!!!!!!!!!!!!!!!!!!!!!!!!!!! The third book will be out in 2012. In the meantime you might want to read some of my other novels. I think you’ll like them. it will be out soon and i will take you up on that thought about reading your other books i have seen alot at my schools library. my first book i have ever read of yours was crytid hunters it was the greatest, and when i got tentecels i wouldnt put it down i read for ten hours straight and i did kind of stop for a few minutes but it was one of my favorite books. i dont say that alot there is only a few book i would like but you are a very good author. is that you controlling it? 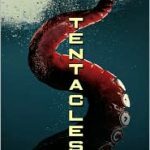 I used your book, Tentacles, for my book chat (the most major project in Literacy for 7th grade)! Of course this is me controlling this. ← February 18, 2011. Office Cleaned!